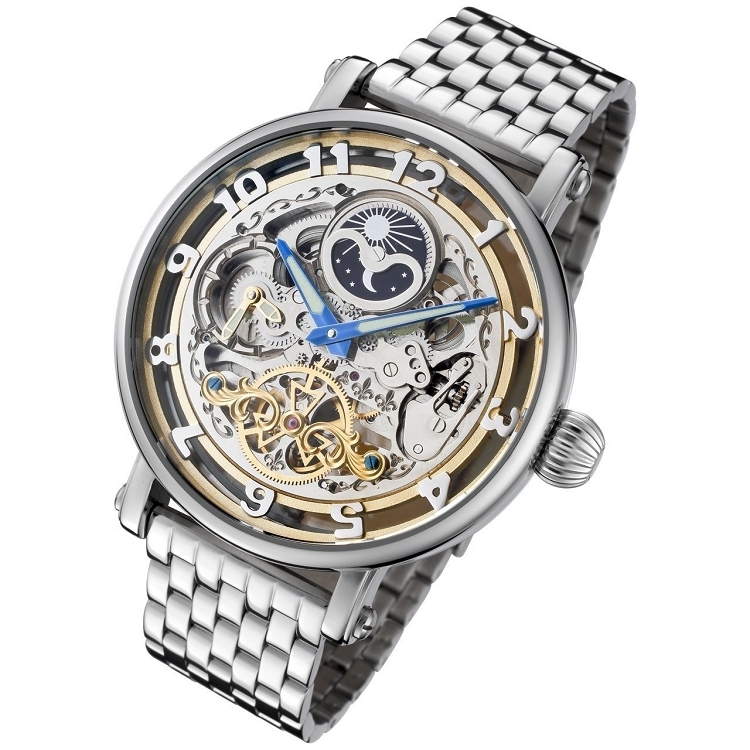 Rougois Mechanique collection skeleton watch (Pronounced "Roojwa"). Beautifully decorated automatic mechanical movement with low friction rubies to secure the smooth function of the moving parts. Double barrel springs to provide lots of power to the movement and its functions. This is not only very functional watch but also very captivating and mesmerizing to look at the skeletal movement in motion. Two sided glass exhibition view. Two time zones. Large luminescent hands. Skeleton number cutouts. The polished steel bezel adds elegance to the appearance. 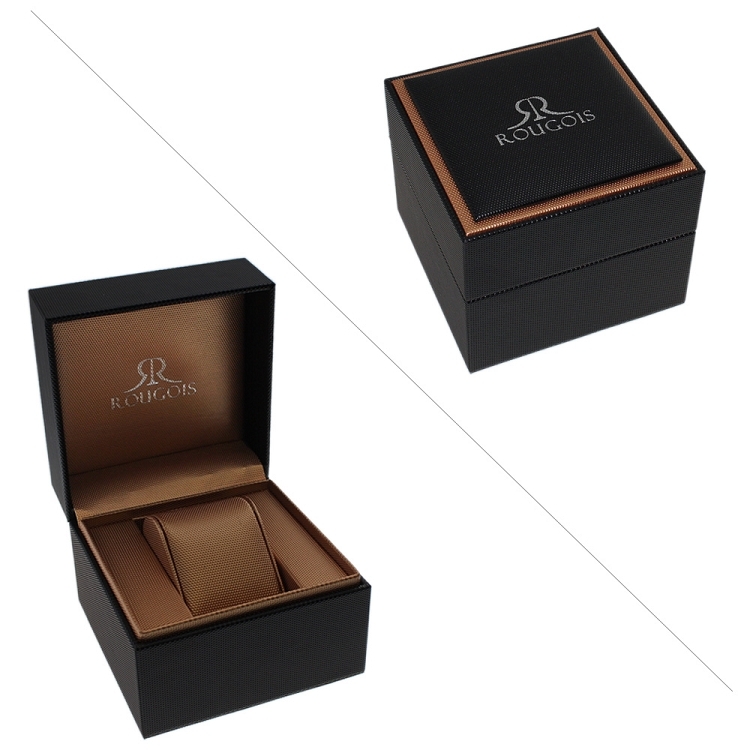 The watch size is 45mm wide which includes the stainless steel case. Large wind up crown for ease of setting and winding. Black leather strap scratch resistant mineral crystal Blue color hour & minute hand. Dual time zone is next to the "9" position on the left side. Push pull crown and water resistant to 30 meters. 1 year warranty.